Trump condemns bigotry and violence on many sides” in appalling speech on Charlottesville. President Donald Trump speaks to the press about protests in Charlottesville on August 12, 2017, at Trump National Golf Club in Bedminster, New Jersey. In the months since President Donald Trump took office he’s said some pretty horrific things. But the commander in chief’s statement on Saturday about the violence that a group of white supremacists unleashed on Charlottesville over the weekend was still jaw-dropping as he appeared unwilling to even lightly criticize a group of people who chanted Nazi slogans, suggesting that “many sides” were responsible and refused to condemn any person or group by name. 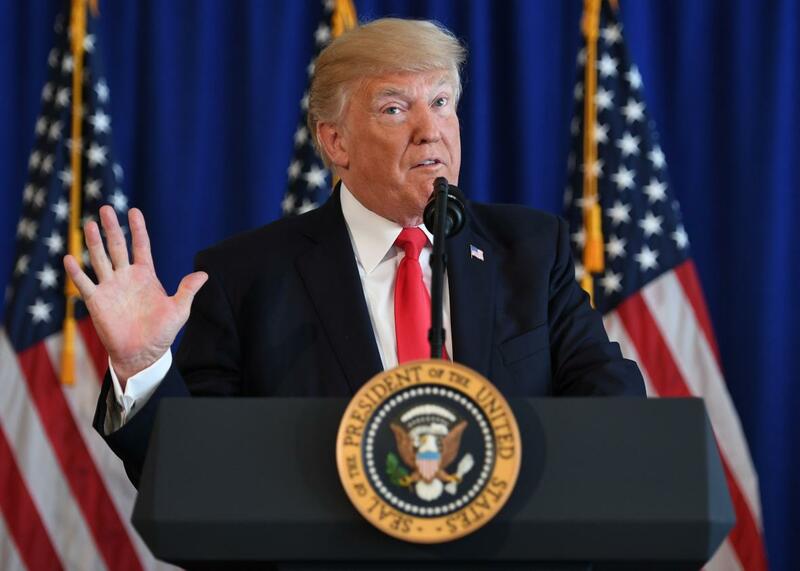 The violence seen in Charlottesville “has no place in America,” Trump said shortly after the Charlottesville mayor confirmed that at least one person had been killed by a car that plowed into a group of counter-protesters. “What is vital now is a swift restoration of law and order and the protection of innocent lives,” Trump said. 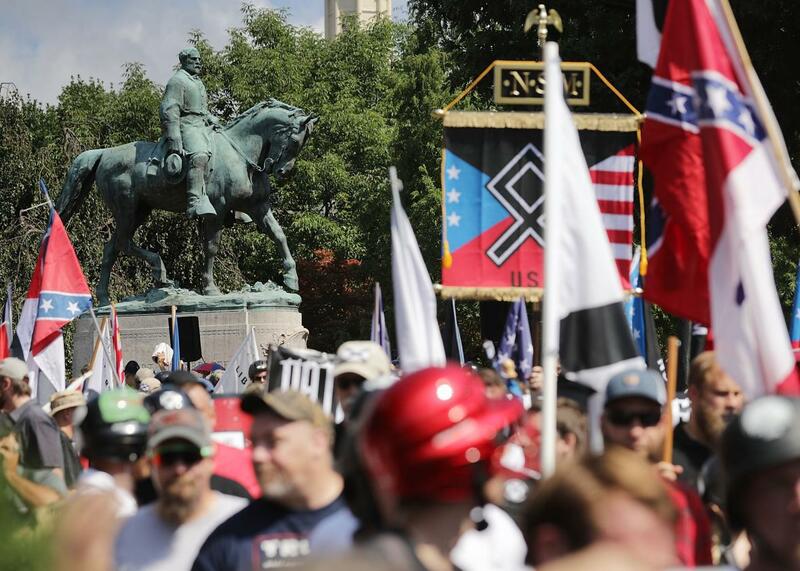 Some even suggested that Trump may have been sending a veiled message of support for the white nationalists that had gathered in Virginia: “We must love each other, respect each other and cherish our history.” He then went on to “salute the work” of law enforcement. Trump later ignored a reporter who shouted a question at him whether he wanted the support of white nationalist groups.